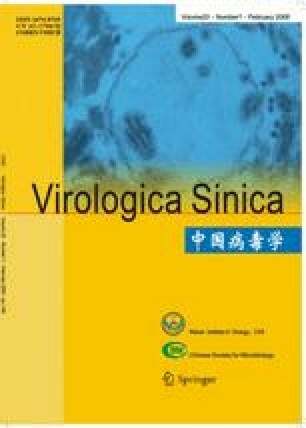 The extra small virus (XSV) is a satellite virus associated with Macrobrachium rosenbergii nodavirus (MrNV) and its genome consists of two overlapping ORFs, CP17 and CP16. Here we demonstrate that CP16 is expressed from the second AUG of the CP17 gene and is not a proteinase cleavage result of CP17. We further expressed CP17 and several truncated CP17s (in which the N-or C-terminus or both was deleted), respectively, in Escherichia coli. Except for the recombinant plasmid CP17δC10, all recombinant plasmids expressed soluble protein which assembled into virus-like particles (VLPs), suggesting that the C-terminus is important for VLP formation. Foundation item: National Natural Science Foundation of China (30370057).